Hello and welcome to My Gallery. 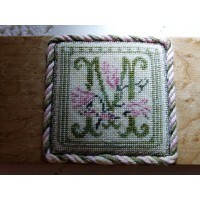 It is my great pleasure to offer you my gathering of designs and needlework products. 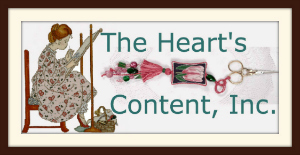 I know you will be able to navigate this Gallery quite smoothly, and find some wonderful treasures to thread your needles. Please do not hesitate to contact us if you have any concerns. 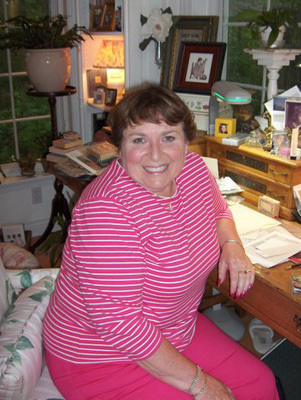 I wish you endless hours of stitching pleasure. 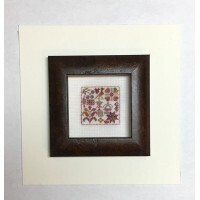 This is a fun, quick, and simple miniature sampler, stitched in ONE Tudor Overdyed Silk, 12-ply.. 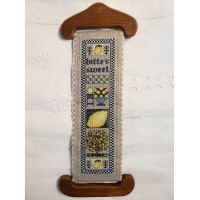 I've created a series of bell pulls for your kitchen...... of fruits and flowers......to follow.. The first in the SOB series. "SILKS ON BOARD"..... another new series of silk gauze creations. A wond.. 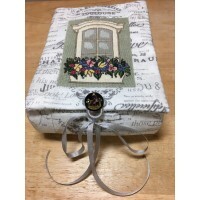 Such a beautiful design and creatively constructed into a fine caddy for your favorite stitchin..